What Are the Risks of Driving on a Suspended License After a DUI? If you’re wondering what are the risks of driving on a suspended license after a DUI, you either have a suspended license yourself, or you have a friend or family member in that situation. You should know that while driving with a suspended license is illegal in every state. But if you’re caught driving on a suspended license after a DUI/DWI. You face harsher penalties that you would otherwise. In some states, if a law enforcement officer pulls you over for anything, and finds out you are driving on a suspended license after a DUI, you face mandatory jail time, fines, or both. And if you are found to be driving under the influence, you can expect the judge to throw the book at you. Since it would be a repeat offense, the penalties with a conviction escalate dramatically. You might be ordered to seek alcohol abuse treatment, at your own expense. Sure, you could drive on a suspended license after a DUI and hope you don’t get caught. But is that really worth the risk? Especially with rideshare companies like Uber and Lyft? Again, state DUI laws and requirements vary, but all 50 states have ignition interlock device laws. An ignition interlock device (IID), of course, is a sort of in-car breathalyzer that you blow into each time you want to start your vehicle. If the device determines you have not been drinking, you can start your car. If the IID detects even a small amount of alcohol on your breath, the device locks you out and prevents you from starting your car. Each state determines if you have to get an ignition interlock device installed in your vehicle after a DUI. As of 2019, 32 states and Washington DC require all offenders to get an IID installed as part of getting their license back after a DUI. If you meet the requirements, you will be issued a restricted license, sometimes with the words ignition interlock on it, or other code, once you have provided paperwork to your state’s Department of Motor Vehicles proving that you have gotten the ignition interlock device installed. In some cases, you are eligible to apply for the ignition interlock device program immediately after your license suspension. In other cases, you may have to wait a specified period of time. You must complete your suspension period with the ignition interlock device installed. If you comply with the program rules, you can get the device removed at the end of your initial suspension period. 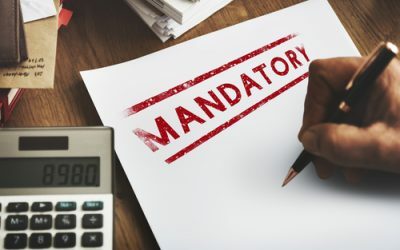 If you violate the program rules, your monitoring agency can tack time on to your suspension, or make you start over, or kick you out of the ignition interlock program. Your DUI lawyer and your state DMV will be able to tell you if you are eligible for the restricted driving program, If you are, and wish to participate, in most cases, you will need to get an IID installed on every vehicle you own. Each state has a list of certified providers to choose from. ALCOLOCK has multiple service center locations across the country, and we would be happy to work with you to get started on the road to full driving privileges. Installation only takes about an hour, and that includes the time it takes for your technician to calibrate the device to you specifically, and train you in how to use the device properly. You will also get an owner’s manual at this time that includes troubleshooting tips. All states require participants in the ignition interlock device programs to bring their vehicles into a provider’s service center each month. These appointments generally take about 20 minutes. At each appointment, the technician will upload the data from your device to your monitoring agency, which is generally the DMV, but could also be your probation officer. The technician will also re-calibrate the device if necessary and answer any questions you may have. At ALCOLOCK, our goal is to get you back on the road as soon as you are eligible for a restricted driving program. We offer you fast and affordable ignition interlock device installation. You can call one of our service centers directly, or call us at 866-700-9300, or use our contact form to get started. C 1996 - 2015 Alcohol Countermeasure Systems (International), Inc. ACS, ALCOHOL COUNTERMEASURE SYSTEMS, ALCOCHECK, ALCOLAB, ALCOLOCK, ALCOSCAN, ALCOSCREEN, ALCOSIM, ALERT, DISCOVER, DRIVESAFE, REVEAL, SAF'IR, VISION and the "Molly" are trademarks of Alcohol Countermeasure Systems (International) Inc. and are used under license. 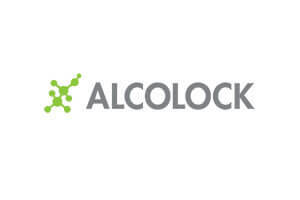 ALCOLOCK is teh trading style of Alcohol Countermeasure Systems, Inc.